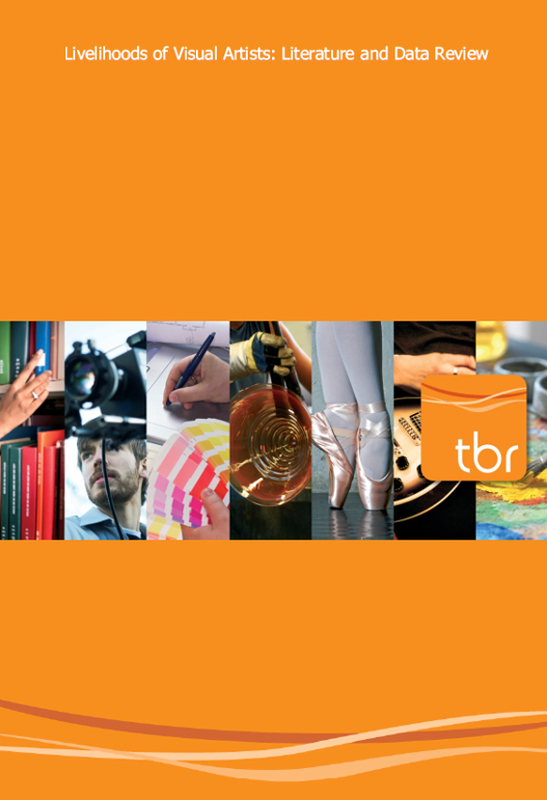 As part of a large-scale national study of the livelihoods, careers and needs of visual artists in England conducted in 2016 by TBR and funded by Arts Council England, this report provides a summary of the first stage of the research, a review of existing literature and data to inform the study and subsequent primary research. Arts Council England supported this comprehensive study into how visual artists in England live and work undertaken in 2016. Based on a large-scale national study of the livelihoods, careers and needs of visual artists in England the study aimed to inform the future work of the wider visual arts sector including Arts Council England. The Livelihoods of Visual Artists: Literature and Data Review presents the findings of a review of existing literature and data undertaken as the first stage of this study. This review draws on a range of sources including: previous sector reports and survey findings from policy makers, funders and sector bodies; academic literature; books; journal articles; and trade press. While the focus of this review was on England, the report also identifies relevant literature from across the UK and some from elsewhere in the world where lessons can be learned (in particular the US, Australia and Northern Europe). The research was delivered by TBR with support of a-n The Artists Information Company and James Doeser. The project benefited from extensive engagement with a number or organisations brought together to form a Steering Group of project partners: ACAVA (Association for Cultural Advancement through Visual Art), AIR (Artists Interaction and Representation), Artquest, Artists’ Union England, Axisweb, Crafts Council, CVAN (Contemporary Visual Arts Network), DACS, engage, East Street Arts, National Society for Education in Art and Design, Space Studios, Live Art Development Agency and Voluntary Arts. Economics, creative, skills and environment strategy consultancy.